Brightening the smile by changing the shade of the natural teeth have become very common these days. In this digitally evolved world, everyone wants to look perfect and have a perfect smile. Teeth whitening is one of the most natural aesthetic dental procedures that help to provide a suitable white shade to the teeth of the patient in just one sitting. With the increasing demand and popularity, teeth whitening procedures have also become innovative and advanced with technology to increase the efficiency of the process. One of the recent advancement is the use of teeth whitening light. Usually, teeth whitening light is blue ultraviolet light that is used in the procedure of teeth whitening to speed up the process and enhance the results. As fancy as it may look, teeth whitening light helps to reduce the contact time of the whitening gel with the tooth and provides better results. Dental professionals frequently use it. But some of the at-home teeth whitening kits also provide additional teeth whitening light. The use of ultraviolet laser light is generally safe to use but it may have certain risk factors that may have minor side effects. 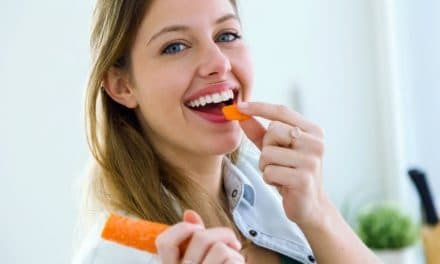 Let’s quickly move on to the article and find out the use of teeth whitening light and how safe is it to be used. Teeth whitening is a cosmetic dental procedure that is used to either restore the natural shade of the teeth by removing the possible extrinsic stains that have embedded into the tooth structure or to lighten the teeth beyond the natural shade to provide a bright white smile. There are a variety of teeth whitening tools and kits that are used both at a professional dental clinic or at-home. The kits may consist of teeth whitening strips, gels, toothpaste or bleaching creams. All of these items may have the same effect on the brightness of the teeth. A recent addition to the teeth whitening procedures is a teeth whitening light. The only difference between all these three procedures is the concentration of the bleaching agent i.e. hydrogen peroxide. The whitening paste or gel used by the dentist at the clinic consists of a higher concentration of hydrogen peroxide or carbamide peroxide as compared to the whitening gels used at home. When the gel is applied onto the tooth surface. The hydrogen peroxide chemically acts with the layer of enamel to remove the stains and lighten the shade. Since the concentration is less in at-home whitening products, it takes longer to achieve the desired result. What is a tooth whitening light? A teeth whitening light comes in the form of a blue light emitting diode (LED) or laser which emits ultraviolet rays. These lights have a wavelength of around 480 nm and 520 nm and are used in conjunction with the teeth whitening gel to enhance the process of stain removal and lightening of the shade. What is the role of a teeth whitening light? Teeth whitening with whitening light is usually performed by a dental professional in a dental clinic. The whitening solution used for this procedure is a light-sensitive whitening gel or cream. A protective gel is applied onto the gums to protect it from the effects of bleaching agent and the light rays. 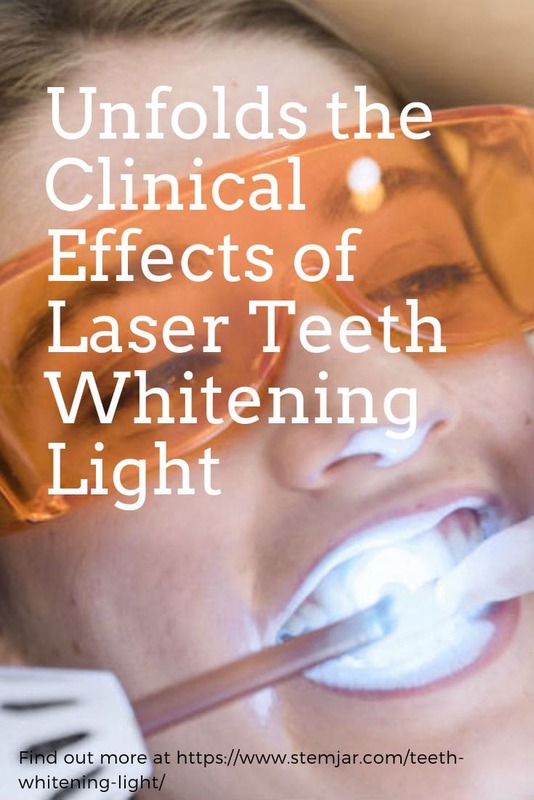 When the ultraviolet light is used on the whitening gel, it accelerates the breakdown of hydrogen peroxide and speeds up the process of teeth whitening. Is it safe to use a teeth whitening light? However, the precautionary measures taken by the dentist to protect the surrounding tissue by using rubber shields or rubber dams can minimize the risk associated with the teeth whitening light. Not every patient can undergo a laser teeth whitening. 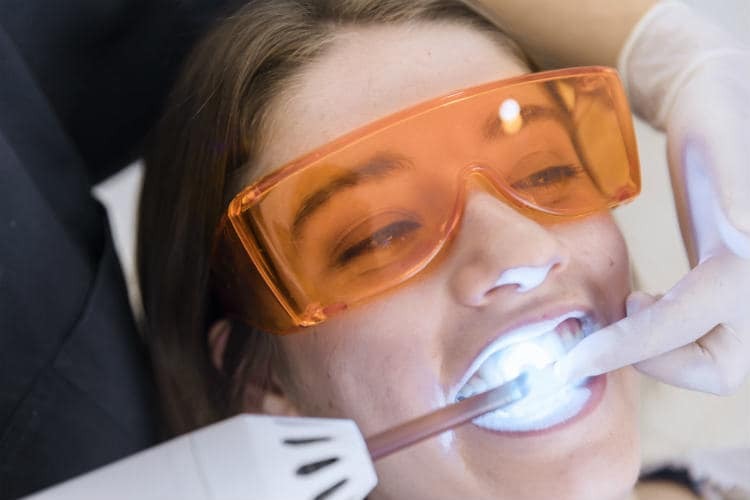 A dentist will be able to examine and provide the best treatment alternatives of teeth whitening for patients who are not ideal for teeth whitening light procedure. At-home use of teeth whitening light is therefore not encouraged. You can switch to simpler products that do not use teeth whitening light and stay safe from the risk factors. 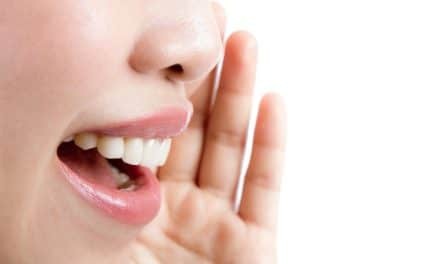 How much does a laser teeth whitening cost? Typically, a laser teeth whitening procedure performed in a clinical setup takes about 15-20 minutes to complete and may cost around $400 – $1500. While custom made tray method used at home may cost you around $100 – $400. They take up several hours to get the desired shade of the teeth and sometimes may even require more than one application. Dentistry is continuously evolving with the advancement in technology. New procedures are being introduced for the benefit of the patient. Consult a dentist before using any cosmetic whitening products and get advice on the suitable procedure that fits your teeth condition. There are three ways by which you can get teeth whitening. The selection depends on the state of your teeth and your budget. Whatever procedure you may choose, make sure to follow a good oral hygiene care routine to maintain the brightness of your teeth and keep your teeth healthy in the long run.